Well, I found him, and met him in Cambridge. He goes by D. W. Wilson and he did indeed win the BBC National Short Story Award in 2011 for his story, “The Dead Roads.” Wilson’s first collection of stories, Once You Break a Knuckle, was originally published by Hamish Hamilton Canada/Penguin Group, and is being released in the UK by Bloomsbury on April 12, 2012. How did a young writer from Invermere B.C. end up here, teaching writing to the English? Before the Atlantic ocean turns green with the envy of stay-at-home (SAM) writers, let me back up a bit. Dave Wilson grew up in the small towns of the Kootenay Valley (his father is in the RCMP) and left Lake Windermere behind to study creative writing and philosophy for his BA at the University of Victoria. 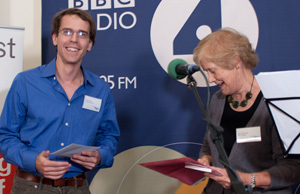 (Wilson: “UVic makes good writers.”) Encouraged to pursue post‑graduate studies by his teacher, Lorna Jackson, he applied to the Creative Writing MA programme at the University of East Anglia. He was able to fund this further study in part because the university awarded him the inaugural annual UEA Booker scholarship in 2009. The UEA Booker scholarship is jointly funded by the University of East Anglia and the Booker Prize Foundation and is open to graduates from all Commonwealth countries and Ireland. The award covers academic fees, travel and living costs and is given to a student admitted to the prose fiction strand of the Creative Writing MA programme. 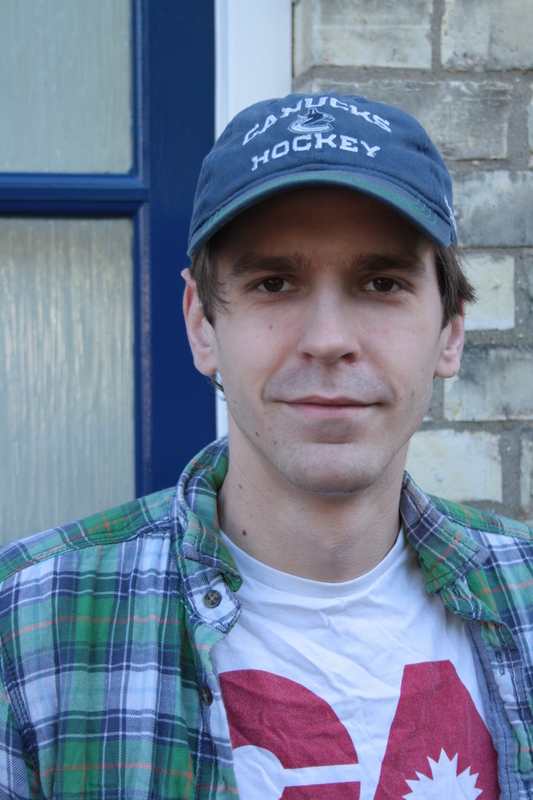 Wilson finished his MA in 2010 and is now doing a Creative and Critical Writing PhD in the School of Literature, Drama and Creative Writing at the University of East Anglia. That is also where he teaches, which he loves doing. His second book, the novel Ballistics, is forthcoming with Penguin and then with Bloomsbury in the UK next spring. And what about living and working abroad, how is that going? He is most comfortable writing away from home, and even here in the UK he prefers public places to his small shared apartment. Yes, he does try to keep up with the news by the CBC website, and yes, he misses summer in BC, and yes, he is identified as “of Invermere B.C.” as a finalist for Canada Writes (CBC Short Story Prize). All the same, he says he would like to stay abroad for a while longer – he’ll go back to Canada someday but not right away. He finishes his PhD next October. He is managing to make a living from his writing and would like to continue to do so. “I could live anywhere.” Asked if he would write about England, he said, “I can’t write about where I am.” The next few months include a busy travel schedule: France, Italy, University of Victoria, and Cork. It should be easy to choose a closing photo of scenery in the mountain valleys of British Columbia. But what to choose? The avalanche, the deer cull, the ice rink that competes with Ottawa’s, the new ski resort on Jumbo Glacier? So I went with a photo of something every Canadian looks forward to as winter slides into spring. Nice to see the Wilmer dinner jacket, and hopefully the nucks will win it this year.